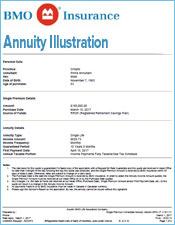 What Type of Annuity Should I Buy? Figure 1. 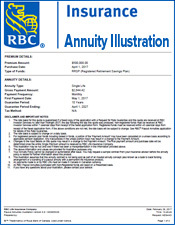 What Type of Annuity Should I Buy? 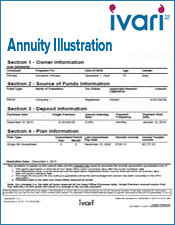 I am thinking about buying an immediate annuity in order to provide income in retirement. I am currently 65 years old, and my wife is currently 64 years of age. 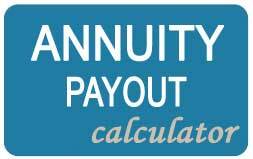 My question is how different will the payouts be if I buy an annuity that pays throughout the lifetime vs. one that pays out as long as my partner lives? 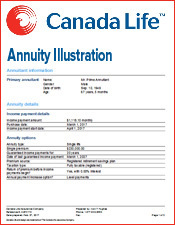 The answer is buying a single life annuity, meaning one that pays out only as long as you live, as it will provide the largest payout. 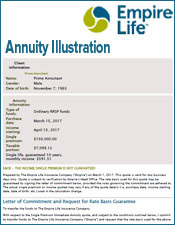 If you invest $100,000 in a life annuity when you are 65 years old, you would get about $560 a month for the remainder of your life. However, the payouts will stop as soon as you die. 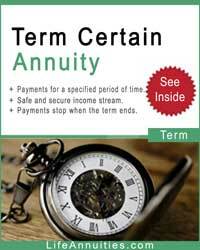 It does not matter if it happens in 5 years or 10 years after your initial investment. 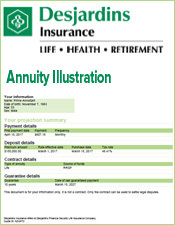 If you buy a joint life annuity which would pay for as long as you and your wife lives, the total payouts would decrease to $446 a month. 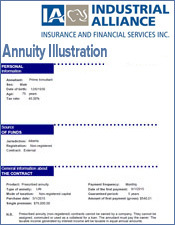 A different option would be to consider purchasing an annuity that would pay out as long as you or your partner lives. Or it would pay out for at least say 20 years if you so happen to die before. 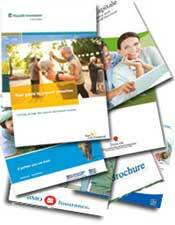 A beneficiary of your choice would then get the remainder of the payouts. 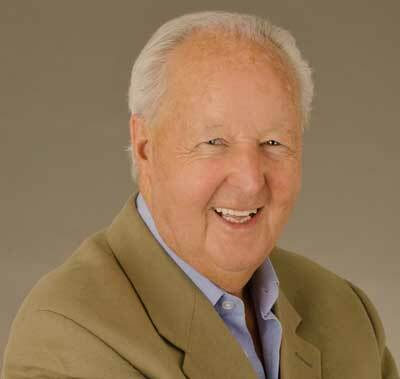 If you happen to live longer than 20 years, your payouts will continue throughout your lifetime, including for how long your wife lives as well. 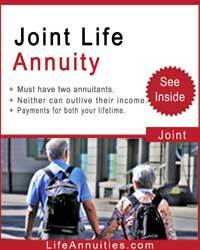 Adding a minimum 10 year payout to a joint annuity will reduce the payouts slightly. 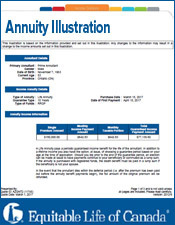 The optimal annuity choice is? 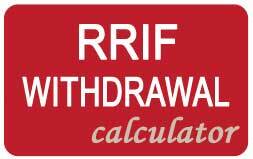 The optimal choice will ultimately depend on your current financial situation. 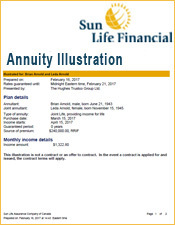 If you have a partner that will need income after you pass away, it may be worthwhile to take a lower payout for the joint annuity. 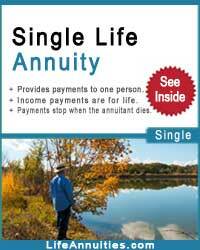 However, if you already have a good life insurance policy that will pay your partner after you die, it may be a better choice to take the single life annuity, which would in turn give you the benefit of a higher monthly income while you are still alive. 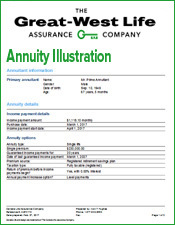 If you do choose the subsequent option, you should make sure that you have a permanent life insurance policy that will continue for as long as you remain alive. 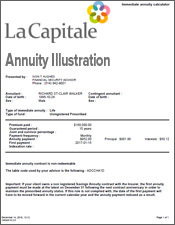 There is a quote tool at www.lifeannuities.com/calculator.html. 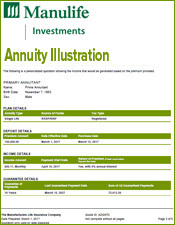 It makes it very easy to compare the payouts for different kinds of annuities. 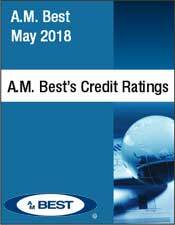 You can see the results based on your age and the amount of money you plan on contributing. 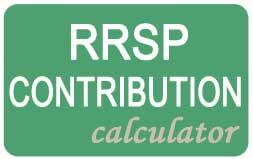 You are also able to see how much you would need to contribute in order to end up with the specified amount of income throughout your lifetime.